Every holiday season The Elemental Awareness foundation links up with a local organization to give the gift of skateboarding to a community in need. 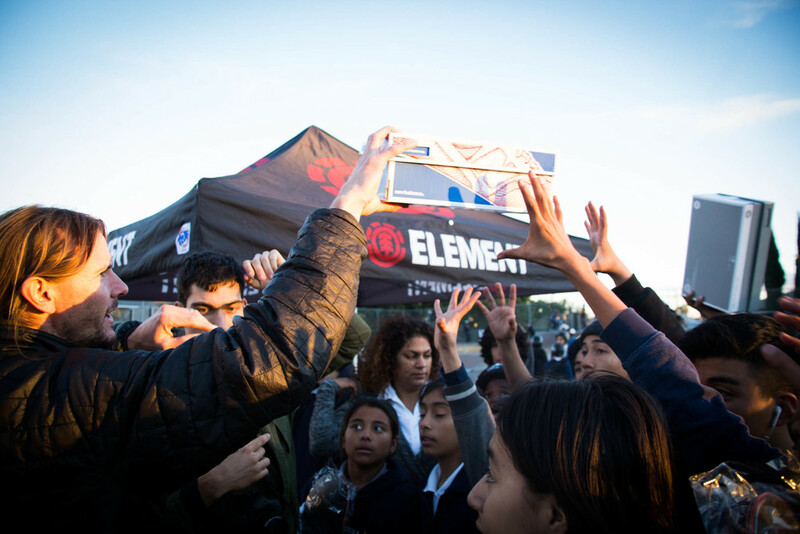 This year we joined forces with Le Conte Middle School in Los Angeles, CA for an afternoon of skateboarding with the Element and New Balance Numeric Teams. 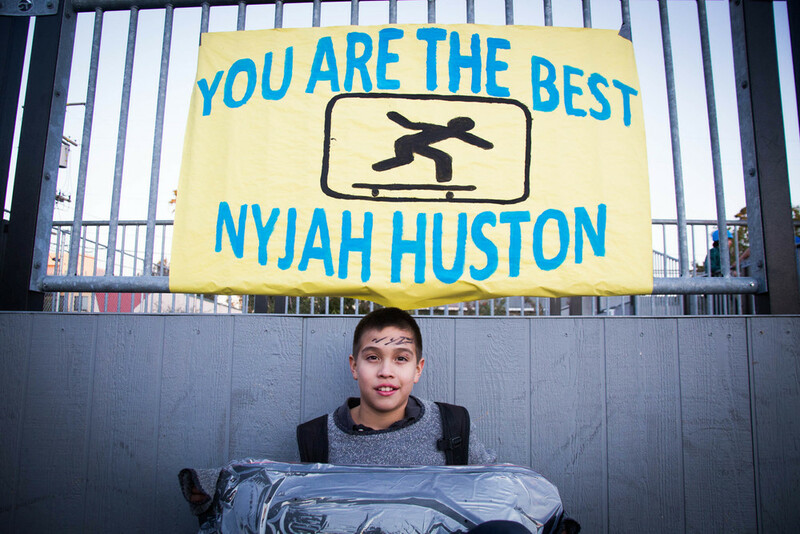 Nyjah Huston, Brandon Westgate, Mark Appleyard, Levi Brown, PJ Ladd, Mason Silva, Dominick Walker, Chris Colbourn, Jordan Maxham, Fletcher Renegar, Dave Mull, and Ronnie Kessner came through to rip with the kids and give out tons of product; over 50 boards, and boxes upon boxes of New Balance shoes. Special thanks to everyone who came out, Happy Holidays!